Three constants in my life are that I’ve always taken photos, always travelled and always been an athlete. From a young age, I saw the world from a backpack on my parent’s back, from the backseat of the car, and through the window of an airplane. Cameras were always a part of my life, and my earliest memories all include a camera. Out of the sheer love of it, I captured the world and those in it. I was always the documenter, the photo-taker, the no-one-else-even-bothers taking photos if i’m around kinda person. Sports, movement & action have been the vehicle for some many transformative experiences and much of the confidence I’ve garnered over the years. My earliest introduction to sports came in form of swim lessons at the tender age of two. I think being in the water that young left an impression on me, a lifelong equilibrium that I can always find through movement. Moving my body has always been an outlet from competition swimming, surfing, softball, soccer, skiing, snowboarding, waterpolo and finally to mountain biking where I stumbled upon the sport in random twist of fate in the aftermath of 9/11. 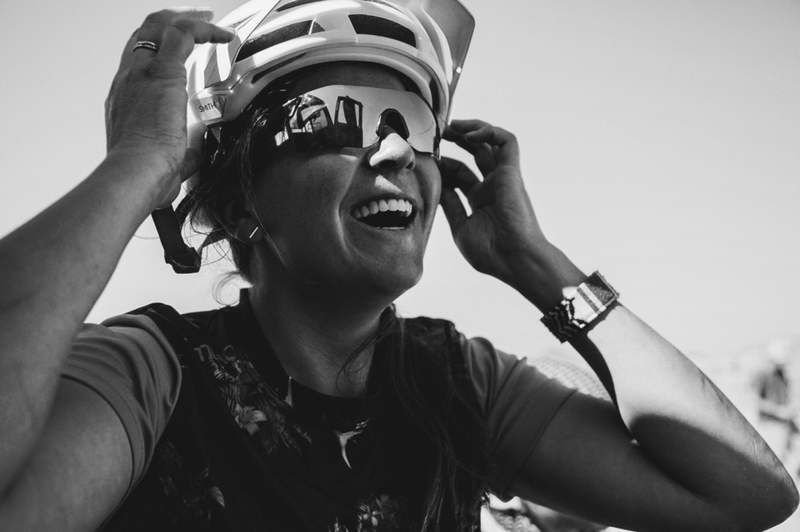 Over the past 15+ years in mountain biking, I have carved out a place for myself first as a fan, then as a national & World Cup level racer and now as a full-time brand ambassador for the companies that I believe in. In that role, my goals are to get more butts on bikes, to use bikes as a vehicle for global communication, and to help riders live the best versions of themselves. There isn’t always a clear path in life but with a little creativity, ingenuity and hard work, I continue to evolve, improve and broaden my perspectives.